Ah those were the days... yanking apart your sister's roller skates and ataching the wheels to a plank. Bam! Instant skateboard. Times have changed, so we don't have to go to such prehistoric methods. But they're fun to look back on. I don't think I'd want to ride any of the fabricated illing-machines these kids have on this 1977 book cover (Skateboards, Scooterboards and Seatboards You Can Make by Marilyn and George Gould). On the other hand, I already have a skateboard - several actually - and don't really have any need to make a ramshackle scooter-of-death. I'm better suited to making bookshelves and tables. I'm not sure how I'd create a skateboard that had the right concaves. 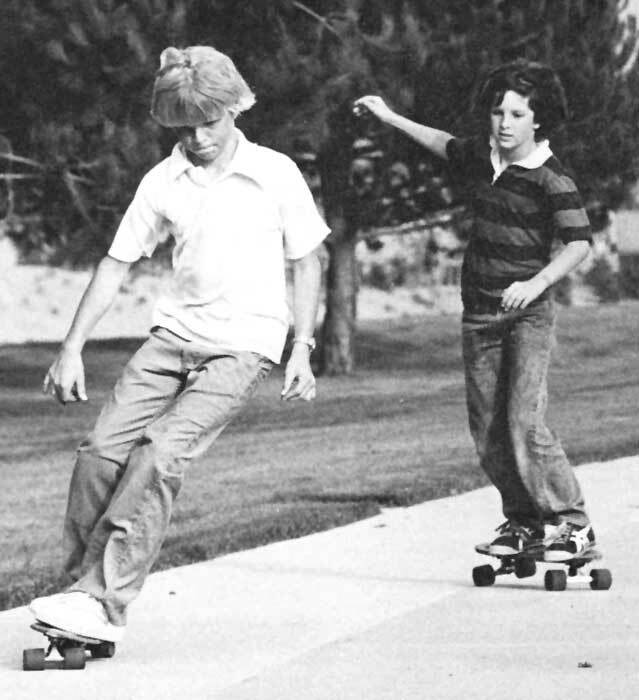 And living in the new millenium (as it were) makes buying a skateboard much safer than making one with late ‘70s standards. Ever seen a truck like this? bushings are refered to as cushions and the kingpin was an action bolt? And how about a baseplate with only three holes? Wtf!?! I'd be afraisd to push down a driveway with this thing, let alone bomb a hill. But books like these gave hope to a young generation of rippers that they could make if they couldn't buy it. I'm afraid technology has out-paced that idea in today's world. If any of this still seems plausible feel free to dive inad get the whole plan as to buiding that sk8 of your dreams.